Sainsbury’s sell about 400 different yogurts, with two aisles at my local one devoted to a technicolor of the tubs, pots and bottles. So what’s the difference between them all. How do you choose a good one? What is the difference between plain and natural, Bio and live cultured, Greek and Greek Style, are low fat yogurts always loaded with sweeteners and thickeners, why does natural yogurt have sugar on the nutrition label? 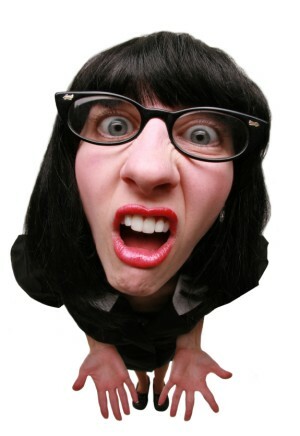 I’m an avid nutrition label reader (it’s part of my job), and I have to admit to being left confused and overwhelmed. Yogurt is big business. In 2014, 80% of us bought it – that’s almost 42 million British stocking up on the (mostly) good stuff. 57% of British adults have yogurt as a dessert. 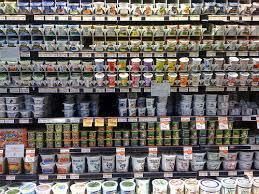 Natural yogurts are the only variety that men are more likely to buy than women. Yogurt is made by fermenting milk with two very specific types of harmless bacteria Lactobacillus bulgaricus and Streptococcus thermopiles (these are the only 2 cultures required by law to be present in yogurt). The bacteria that are added to milk convert the naturally occurring sugar in milk (lactose) into lactic acid, which causes the milk to thicken, giving yogurt its characterised consistency and tangy taste. People who have difficulty digesting lactose in milk are generally able to tolerate yogurt better: this is because some of the lactose in yogurt has been broken down by the harmless bacteria used to make the yogurt. Extra bacterial cultures, such as Lactobacillus acidophilus, Lactobacillus casei, and Bifido-bacteria may be added to yogurt as probiotic cultures. These probiotic cultures benefit human health by improving lactose digestion, gastrointestinal function, and stimulating the immune system. In the UK, yogurt is most commonly made from cows’ milk and can be made using full-fat or lower-fat milk. New variations are also available: soy, coconut, sheep’s, goat. Flavoured: with added sugar, honey, fruit juice, natural flavours, sweeteners, syrups, whole or puréed fruit and/or cereals. Low-fat: contains no more than 3 grams of fat per 100 grams. Fat-free: contains no more than 0.5 grams of fat per 100 grams. Light: contains 30% less of a specific nutrient (for example, sugar or fat) compared to a range of similar products. Greek yogurt (not Greek Style yogurt): genuine Greek yogurt is made by straining regular yogurt, removing the liquid whey and resulting in 2 to 3 times higher protein content. Greek yogurt is available in full fat, reduced fat and 0% fat. Even the 0% fat Greek yogurt is much thicker than regular yogurt. 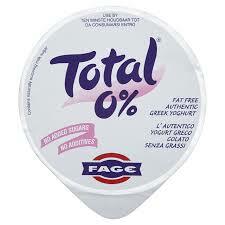 Total by Fage is a popular one. 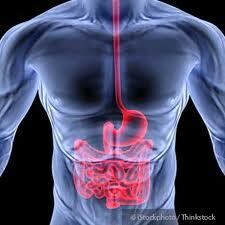 Calcium: Yogurt made from milk is one of the best absorbed dietary sources of calcium. Calcium is needed for the development and maintenance of healthy bones and teeth and is also important for blood clotting, wound healing and maintaining normal blood pressure. 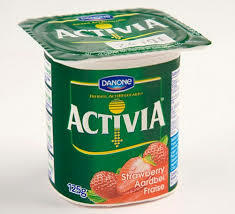 Most yogurts also contain varying amount of vitamins B6 and B12, riboflavin, potassium and magnesium. Sugar: This is where it can get confusing. Many people ask me about yogurts and sugar, or make the comment that all yogurts are high in sugar. Because yogurt is made from milk, it will contain some naturally occurring sugars (lactose), from 3g/100g to 7g/100g; the amount of lactose depends on how much of it the bacteria has turned in to lactic acid. 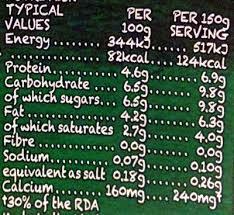 So although a plain/natural yogurt does not have added sugar, on the nutrition label you will read that there is sugar……confusing! However, many manufacturers load their yogurts with sugar and very sweet fruit purees or juice. Unfortunately, the label does not differentiate between the naturally occurring lactose and this added sugar. Ideally, choose a plain/natural yogurt and if you want flavour or sweetness, add your own e.g. fruit, puree, vanilla extract, jam, sugar or honey. That way, you have more control over the amount of added sugars. One teaspoon of honey, jam or sugar is approximately 5g of sugar. If choosing a flavoured yogurt, look for one that has below 12g/100g of sugar. This generally indicates that there has been less than a teaspoon of sugar added. Below is a comparison of just a few of the most popular yogurts in UK supermarkets. I’m a fan of the Total Greek yogurts, due to the high protein, low sugar and extra bacteria probiotic bacteria added (high protein yogurts have been shown to make you feel full up for longer and reduce appetite). I must give St Helen’s Goat yogurt a try, nutritionally I would award it second place, but I’ve never tasted it! 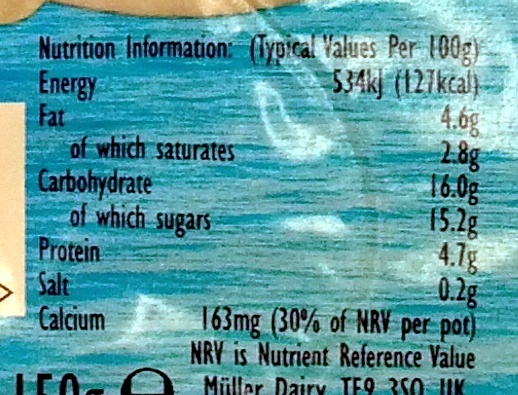 Onken Naturally Set also has a great nutritional profile, although lower in protein than Total. Children’s yogurts are a WHOLE new ball game which deserve a post all of their own……watch this space! Very interesting post. I have read that vitamin D helps the body absorb calcium. However I have found only one brand that adds vitamin D. Is it necessary to find a yogurt fortified with vitamin D? I just wondered if you had any thoughts about the Icelandic yogurt Skyr, and where that might place relative to the Total Greek yogurts. Thanks! Hi Jay, the advantage of Skyr and Total Greek yogurts is that they are higher in protein than standard yogurts. They have about double the amount of protein, which is good for maintaining or building muscles as well as helping you to feel full up for longer. There’s not too much difference between Skyr and 0% Total. In terms of texture they are a bit different, in my opinion, Skyr is less creamy. So I’d say choose which ever one you personally prefer! A very informative article . Thank you. 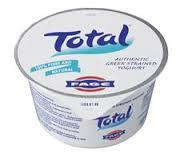 After lliving in Athens during the 1980’s my family all prefer full fat Total yoghurt to any other. Now I know that we made a healthy choice.